Show host and producer Ruth Anne Wood rolls back the curtain to her upcoming launch and invites the best and the brightest to participate. 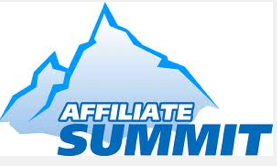 This summit already has over 150+ featured guests to choose from with prerecorded interviews with community leaders, 7-8 figure entrepreneurs, best selling authors and award winning artists. Before we do our official launch YOU have the chance to leave written or video comments of these interviews and position yourself as a thoughtful expert commentator with a link back to your site. PS The best remarks will surely summon an invite to participate on a grander scale or even be a featured guest on Live Your Peace interview series or live events. You are also invited to pitch possible coaching or tools to go with each module and they may be freely used during our summit with full credit back to your site.